The best part of these timepieces is easily the box. I wasn’t allowed to take pictures, but Romain Jerome showed me a sneak preview of the Space Invaders watches back in March. The idea is to recall some of the fun and playfulness, as well as the novelty of the late 1970s video game. The box is actually a light box and you place the watch inside of it. Actually the watch is already placed inside of it and there are no doors, just a peep hole. If you want to remove the watch – consider it a fun challenge (like the game). Inside the box is a black light, then when lit illuminates the lume on the dial of the Space Invader watches. It is cool and fun, and perhaps better with LSD. 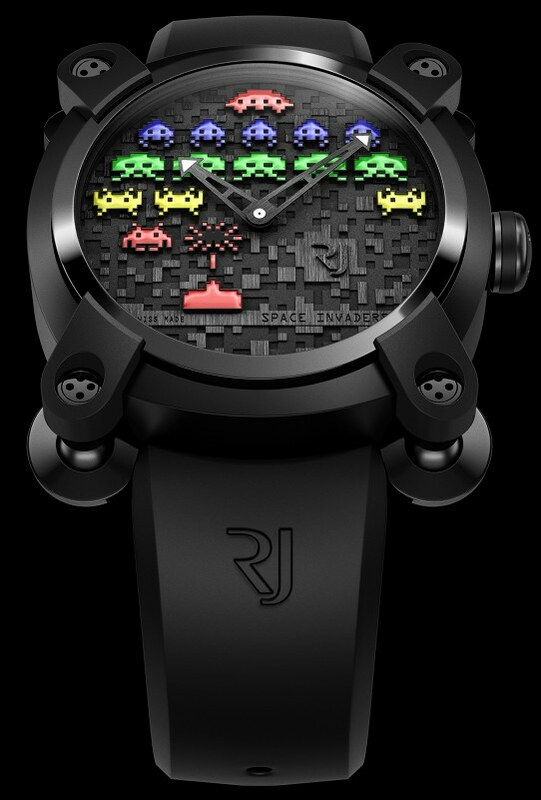 For me, the funnest part of the Space Invader watch story is process of Romain Jerome getting the licensing for the product from Taito in Japan. No one has ever made a high-end watch involving a video game before (I’ve joked about it, but this is the first legit one). By the way, I first talked about these watches here when discussing RJ’s relationship with Taito. I don’t know all the details, but to sum it up, there was quite a confusion as to what type of watch was going to be made. 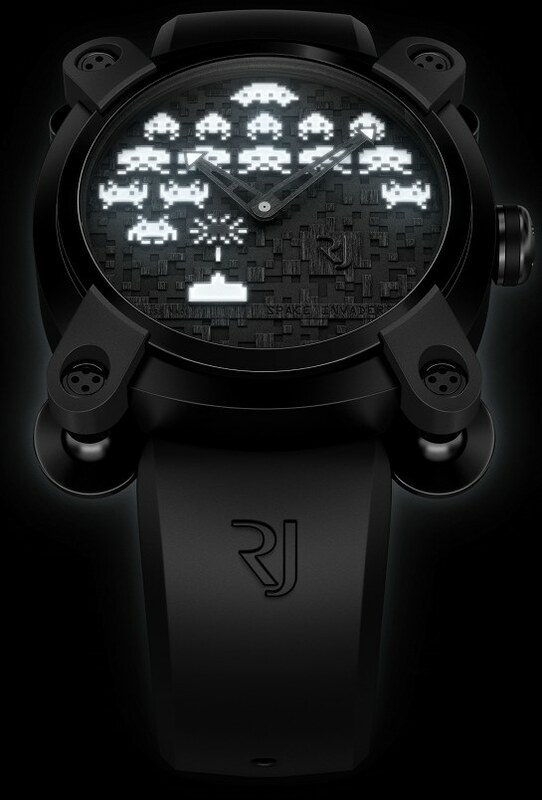 The idea of such a high-end watch licensing the Space Invaders name was apparently difficult to grasp. I believe it took RJ showing them examples for the big guys at Taito to get it. 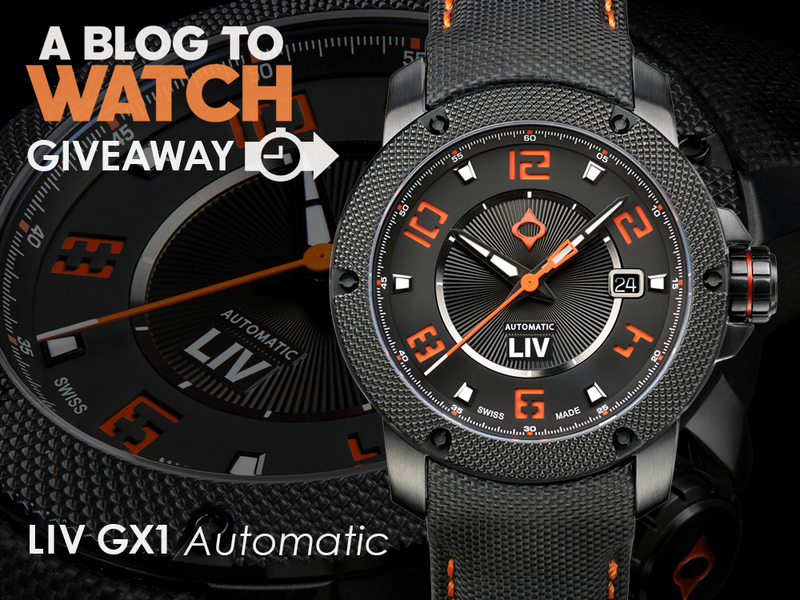 And what about if the watch actually played the game…? 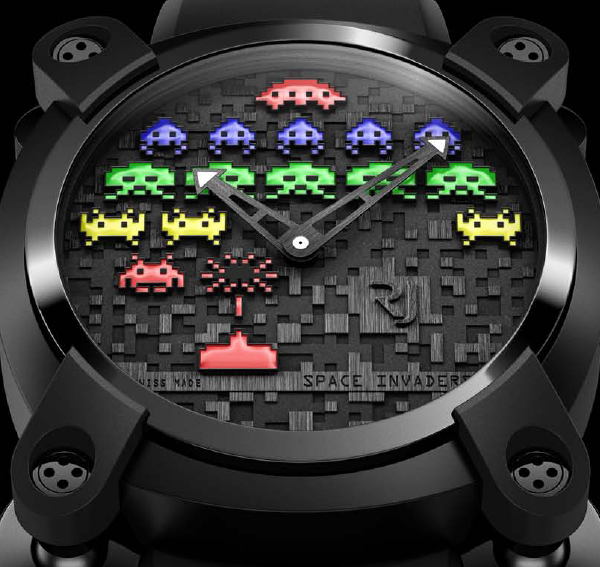 Set in the Moon Invader case, the Space Invaders watch will come in two styles, with a really interesting dial. It took a ton of work to find a process that could cut a multi-level dial that looks as though it is made out of pixels. It looks cool in the images, but in person the dial has a rich depth to it and is quite impressive. But of course, first you need to be OK with a fancy video game screen shot on your wrist. One of the dials has the sprites in color, while the other is monochromatic. Both have the characters done in luminant. The watch itself is 46mm wide in PVD black steel. Each version is limited to just 78 pieces and should be available soon. For me, this watch is a good thing and a bad thing. Bad because it shows that I am getting old as the stuff I enjoyed as a kid is becoming highly nostalgic. Good because finally my heart strings are pulled on cheesy things like expensive video game homage watches that neither play video games nor get chicks… but I still want them dearly. Dial Black 3D dial with 3 beadblasted & satin-brushed levels. Yup. That just about says it all. I enjoyed the game as a kid too, but there is nothing about this that appeals to me. I love the dial, but this Moon Invader case, with the wierdo feet turns me right off. Is it 46mm with or without the feet? If without, this thing will be hugemongous. I would certainly want the coloured invaders over the monochromatic ones. 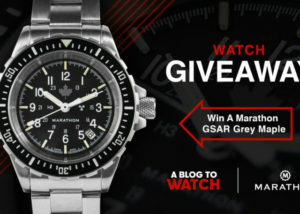 This actually looks like a fun watch and isn’t tremendously ugly. I could actually see someone like a rich video-games professional buying one of these, since video-games have a large global cultural influence unlike random bits of sand, sawdust or coprolites. In other words, this design might mean something to someone. The four protrusions are still idiotic though, and the monochromatic dial is very hard to read. Looks awesome to me, I love watches, I love video games, I love this watch! Oh, well… you see it’s limited to 78 pieces, custom built and cost about $22,000! Only if it has some Apollo 11 scrap in it. But………….have you forgotten? Space invaders was a monochrome game…..no color…I personally think monochrome is more authentic…..and sentimental…..truer to the original…in the 70’s you did not have games with color-rarely….overlay’s were used to simulate color….that is about it…monochrome is for the purist….by the way where will this be available? Were will I be able to buy one? I wonder how much $$$? I played this game tons when I was a kid, on my Atari 2600, in colour. Everything used to be black and white at one point. Now there are many shades of grey. 46mm and this horrid design? I can’t believe Taito would ruin the good name of Space Invaders with this junk. Dont mind this – its fun, which is more than can be said for other RJ’s but being a bloody expensive watch surely they could have had the ‘gun’ move up and down horizontal like a retrograde seconds counter?? Missed a trick…. That case would almost be attractive without those idiotic feet. Hi Guys, this watch is for those who have, and dont think twice about spending 17k to spend…keep drooling and dont forget to use your bib!! lol!